Most of the tax planning advice that financial advisors give you really doesn’t help lower your adjusted gross income, which is what you have to lower if you are really serious about tax planning. There are basically three techniques that can be used in serious tax planning. In our YouTube series about taxes, these three techniques form the basis of much of what we talk about. You can undoubtedly think of ways to postpone the tax. You might name retirement type plans such as 401(k)s, standard IRAs, or others. You could include 1031 exchanges. You probably didn’t think about benefit plans under ERISA, which could also help postpone a tax. There are lots of ways you can postpone taxes. If you can postpone a tax and put the money to work for you, you will make more money. The time value of money is an important concept. The longer you can keep your money, the more money you can get. It’s a basic principle, but once you send your money to the IRS, it is gone forever. Our tax system in the US is a tiered system. Some people pay less tax, because they don’t earn as much. The more you make, the more you pay in taxes – in theory. If you can tax money in a lower tax bracket, the IRS gets less of the money. One way to control where the tax is paid is to “shift” the income to someone else, so that person has to pay the tax. Assuming they are in a lower tax bracket, less tax will be paid. Thus, if income can be shifted to someone else in the family and they pay the tax on it, the family can have more money to spend, because less tax will be paid. There are lots of rules about shifting income. Only passive income can be shifted. If you are shifting to kids, there may be an issue with the “Kiddie Tax.” If you are shifting to parents or other older folks you would be helping financially anyway, shifting income to them can save a lot of taxes and give the family more money. You know that if you sell an investment after you have kept it 10 months, the tax will be different than if you keep the investment for 13 months and then sell it. The capital gains tax is lower, and it only kicks in after you’ve held the investment for a year. But, there are lots of other ways you can change the nature of the tax. Earned income is taxed one way. Passive or unearned income is taxed another way. The question is, how do you change the nature of your income? We just took a roofer that made great money this year and saved him over $80,000 in taxes by changing the nature of a lot of his income. Professionals, small business people, and basically anyone that has income other than just W2 income need to look seriously at ways they can change the nature of their income to give them the best tax advantage. 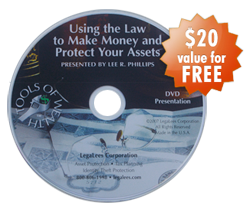 You will always have to use a “legal tool” to help you change the nature of the tax. Tools like corporations, LLCs, trusts, and others can make a huge difference in your spendable income, even if you don’t use them for the asset protection or other benefits they might offer. 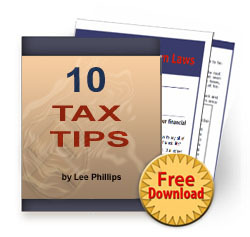 Check out our Advanced Tax Tactics for all the details and more. You could have a ton more money to spend.